Which Way will The PSC Go On The Refinery? There are two ways to look at the recommendation of Administrative Law Judge Patrick Ward that the North Dakota Public Service Commission dismiss the complaint against that (expletive deleted) Meridian Energy for failing to get a site review from the PSC for its proposed refinery near Theodore Roosevelt National Park. 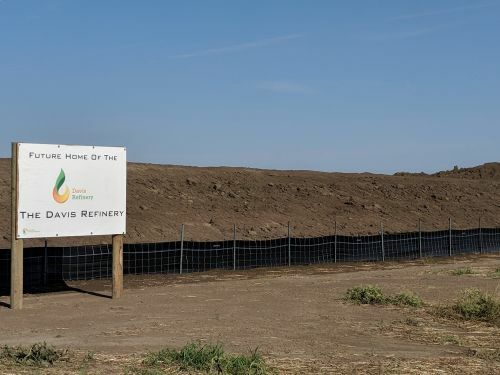 But those slicksters at Meridian now say they will only process 49,500 barrels per day—99 per cent of the allowable limit—so they don’t need a site permit. That’s right—do the math. They are just one per cent below the threshold which would allow the PSC to claim jurisdiction. How sleazy is that? The PSC knows that. And they ARE nice people, and they are concerned about our national park. They have a professional staff that takes their jobs seriously. If they could determine that, under the Century Code and the Administrative Code they could tell Meridian to take its refinery down the road a few miles, I think they’d do it. In the end, it boils down to this. The judge correctly interpreted the law—49,500 is less than 50,000, and the judge chose to believe Meridian, when they said that they would stay under 50,000, and therefore the PSC would have no jurisdiction. He’s about the only person in North Dakota who believes Meridian any more.